An Inconceivable Past and An Unimaginable Future? How would you react if you suddenly learned that everything you believe about yourself, your past, your ethnicity, your religion is wrong? How would you feel if it were proven, beyond reasonable doubt that everything you’ve ever been taught about your religion is a lie? Most disturbingly, how would you feel if you discovered that your government has been lying to you about the world in which we live, and that there’s a sleazy little faction that has sold out the human race as guinea pigs in exchange for some extreme high technology that will never be disclosed to the public? What if the concept of Intelligent Design is correct, but God had absolutely nothing to do with it? How would you feel if it were proven beyond reasonable doubt that the human race was genetically engineered by a race of extraterrestrials? How do you think the world would react to such information? Do you think that such knowledge might shatter our self-image and essentially disenfranchise the entire human race? What effect might such a disclosure have on the socio-economic infrastructure of western civilization? In my book Aliens Above, Ghosts Below: Explorations of the Unknown, I present specifically detailed evidence along these lines and discuss what some of the fallout of such a disclosure might be. Believe me, it isn’t good. If we cannot get along between black, white, red, yellow and brown, what do you think adding grey to the mix might do? The excellent work of the late Leonard Stringfield, documents the numerous EBE autopsies of years past, the conclusions of which were that we human beings were very likely created by an extraterrestrial race who took early proto-humans/hominids and genetically engineered them into what we call homo sapiens today. Bottom line, is that we humans are possibly a hybrid species, the result of someone else’s intervention. And by someone else, I’m not referring to God. There is a substantial body of evidence strongly suggesting that there are factions within western governments who are well aware of this information and its potentially devastating effects on the human race. Can you even imagine what such evidence might do the various religions and their followers? Can you spell chaos, disorder and World War Three? As strange as this may sound, if this information is correct, world governments are very likely doing the right thing for the right reason in withholding declassification and disclosure of this information. Remember, modern governments function under the premise of domestic tranquility. Just look at what’s transpiring in Egypt, Libya, Yemen, Iraq and Syria right now when different factions of the same religious beliefs want to kill all those who don’t believe as they do. Thus, if domestic tranquility fails, society collapses and anarchy reins. World governments may be corrupt, untrustworthy and greedy, but they generally avoid shooting themselves in their feet, or in this case, their heads, most of the time, with few exceptions. No government wants to give up its control, and if the public discovers that not only have they been lied to for decades on this matter, but that the grand experiment initiated by the beings who created us, is not over, their reaction would not be a positive one. Given this incredible scenario, would you release said information to a war weary planet? It’s interesting to realize that our own government hired professional debunkers to make sure the public believe that all the research in remote viewing was in error and that it never really worked to begin with. This method disinformational discrediting is one of the best ways to prevent your enemies from using your own tech against you. Their reason for doing this is simple. To insure that our enemies, or the wrong part of the public sector, are never able to utilize remote viewing or remote influence against their own government, as there are no known countermeasures against it. If suddenly our “God” is not who and what we thought it was for thousands of years, but some form of advanced extraterrestrial life-form, it would essentially reduce the entire human race to little more than guinea pigs, providing us with an inconceivable past and an unimaginable future. If we’re not made in God’s image, then in who’s or what’s? Where do we humans go from there? If “they” made us, who made them? What if homo sapiens would never have evolved here on earth as we exist today without alien intervention? Where would natural evolution have taken us instead, if anywhere? Would we even exist? And of course, why were we created here, has such been done elsewhere? 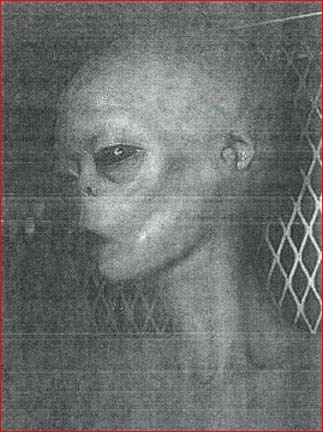 Posted on February 10, 2011 March 23, 2015 Author Dr. Barry TaffTags Alien intevention in human evolution and history, Aliens, Anomalous Archeologiy, ET genetically engineered humans, Extraterrestrials, Genetically engineered humans, Leonard Stringfield, UFOsLeave a comment on An Inconceivable Past and An Unimaginable Future?